Most of the flight to Edmonton was in the clouds and then it cleared up. There were great views of the majesty of the Canadian Shield and then the prairies. 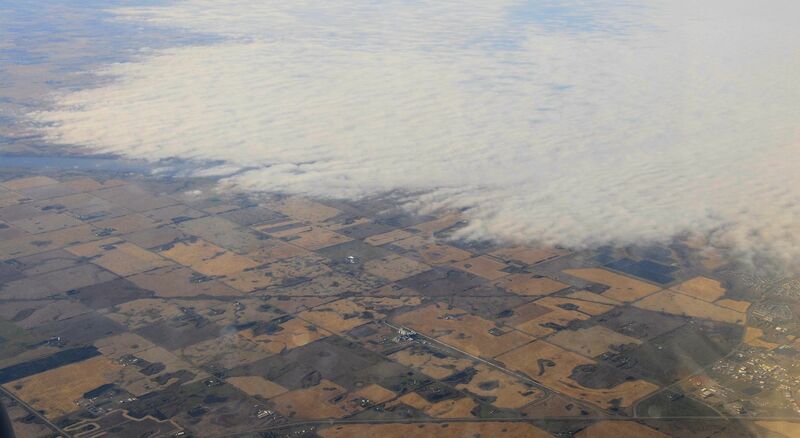 And, as we were descending, the clouds came in again, covering the autumnal land like a warm blanket.